Argentina international Martín Landajo is set to make his debut in the Gallagher Premiership after the scrum-half has agreed to sign a new deal with Harlequins. The 30-year-old has been with Club Atlético San Isidro and Pampas XV before he made his Super Rugby debut with Jaguares in 2016. 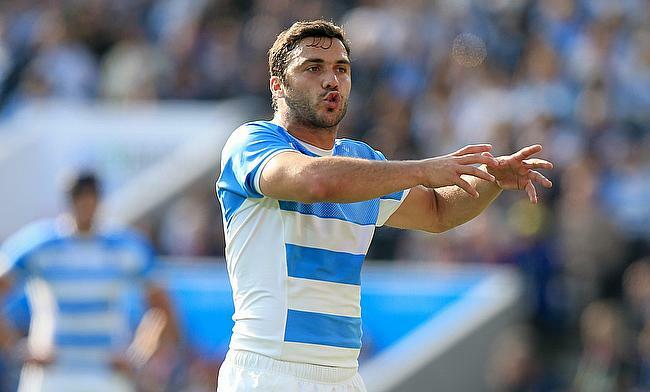 His debut for Argentina came in 2008 and has racked up 84 Test appearances since then and was part of the Pumas side that reached the semi-final in the 2015 World Cup. “I cannot wait to get started with Harlequins,” said Landajo to the official website of the Quins. Harlequins Head of Rugby Paul Gustard welcomed Landajo's to the club and believes his "pace and creativity" will be a big asset in surprising the opponents. “Martin will be a wonderful addition to the squad and add greater density to our leadership group. They call him The Door Opener - and for good reason. "His pace and creativity has been able to unlock defences at the highest level and we look forward to welcoming him at The Stoop later this year.